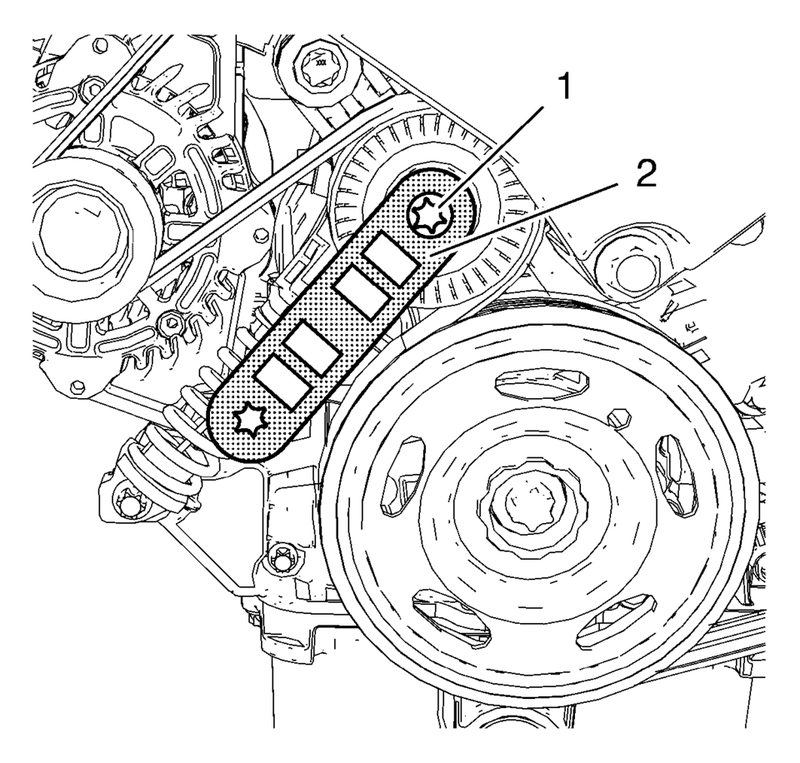 Install EN-48488 holding wrench (2) to the drive belt tensioner (1). 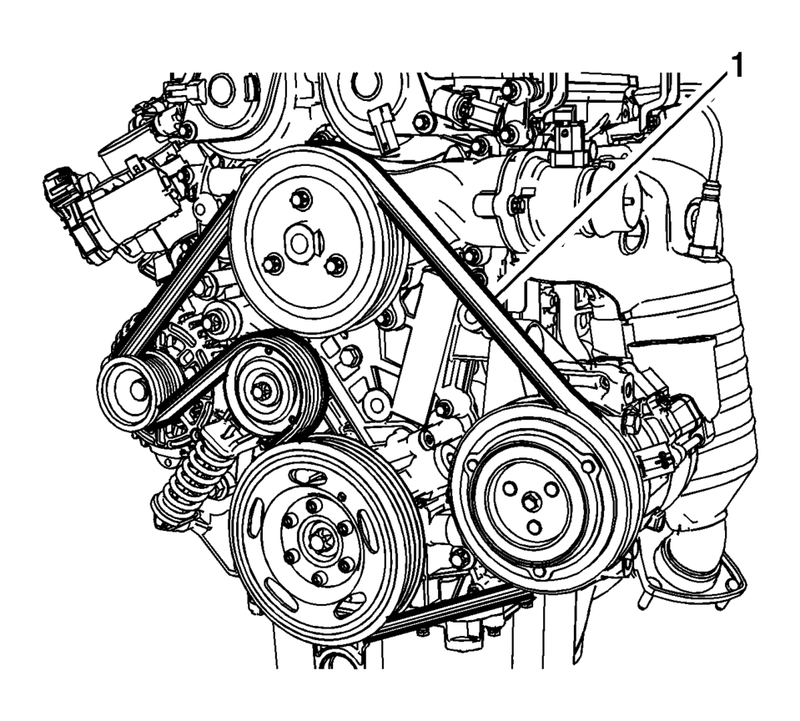 Remove the drive belt (1). Install the drive belt (1). 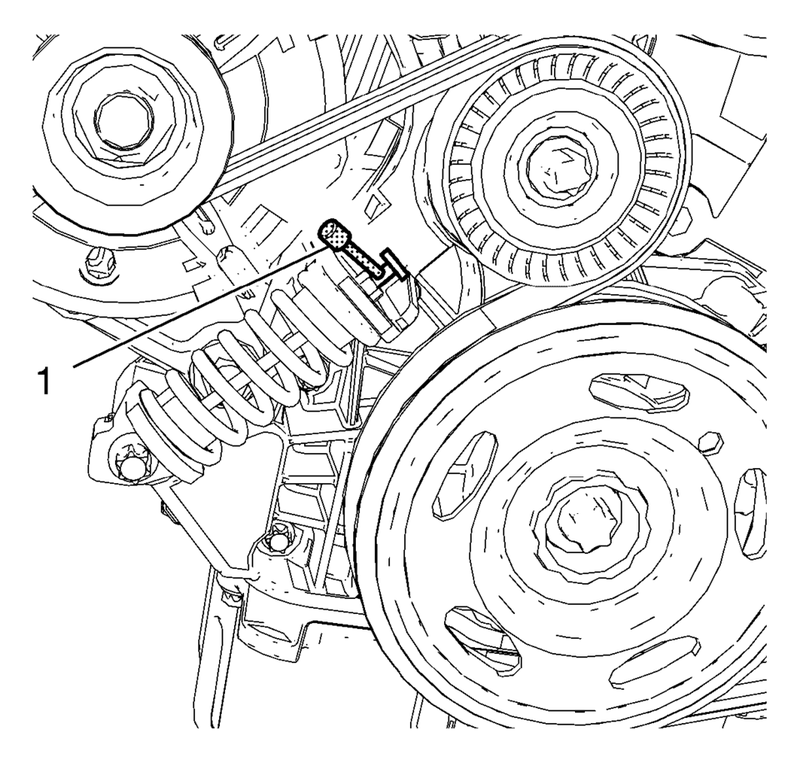 Move the drive belt tensioner clockwise until EN-955 locking pin (1) can be removed.